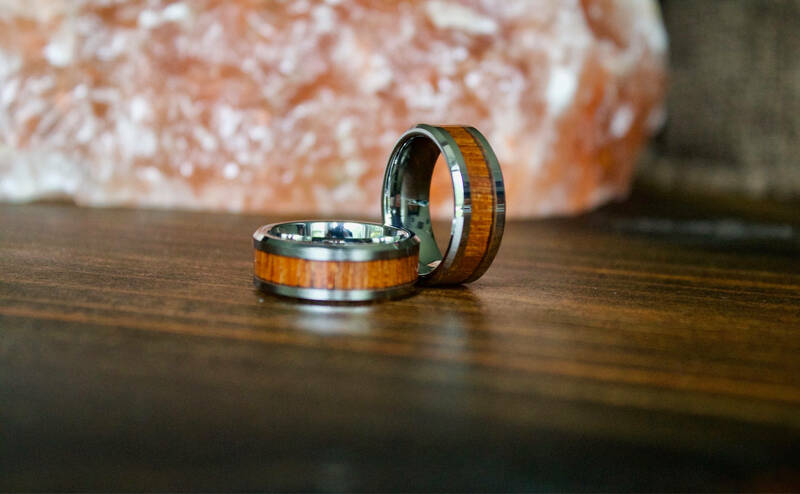 This beautiful tungsten carbide ring is inlaid with real Koa wood. 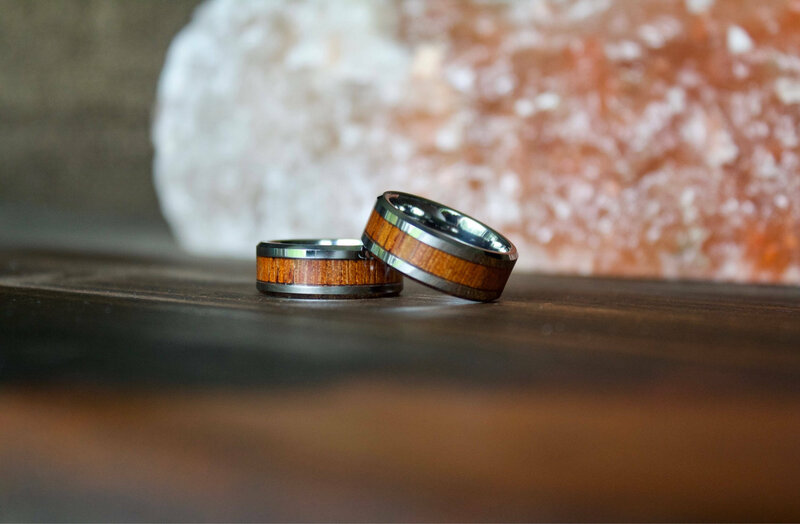 *Koa wood is widely considered to be the most beautiful and useful of Hawaii’s native hardwoods. 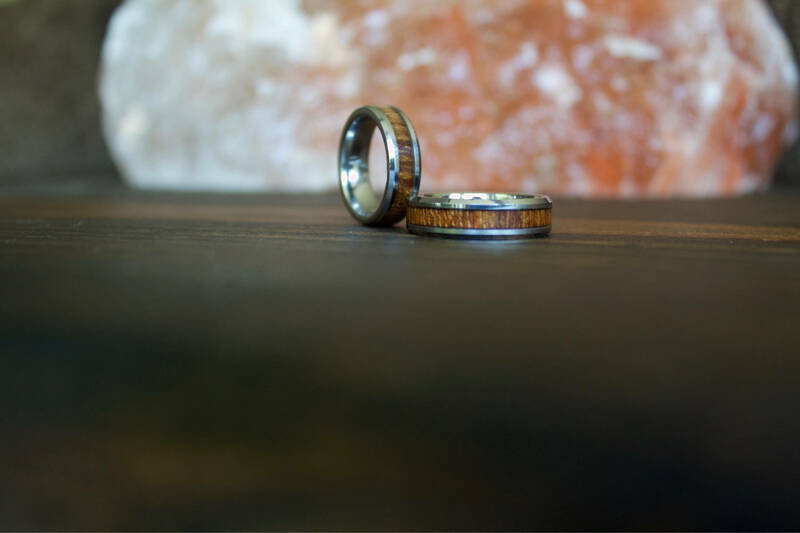 Since we use real wood, every ring will be unique and one of a kind. 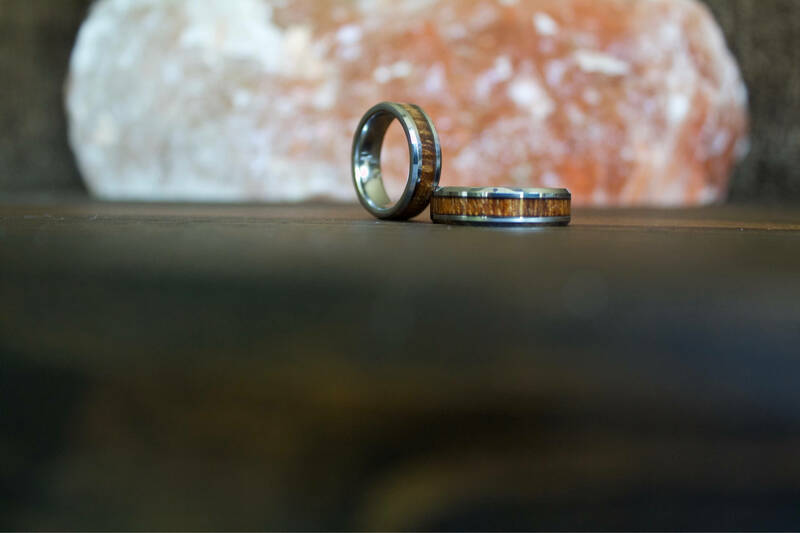 The wood inlay is sealed with protective resin, assuring the ring will last ages. 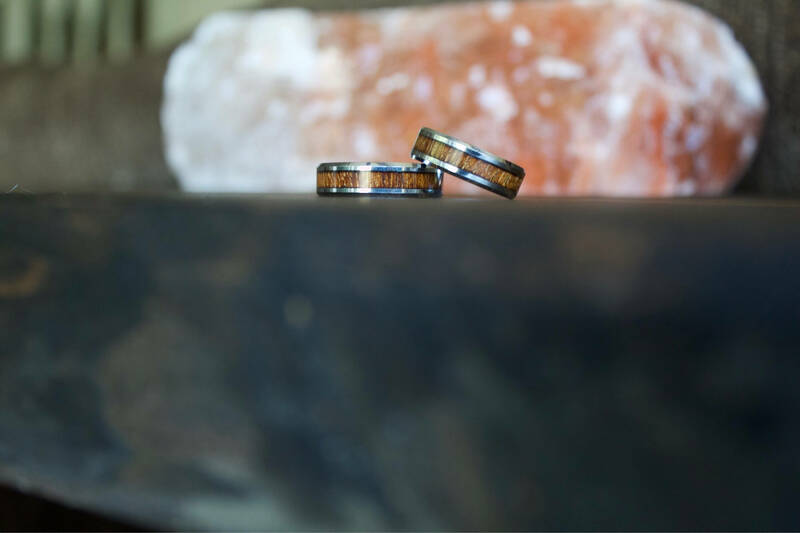 This ring is made from tungsten carbide, much stronger than titanium and steel. 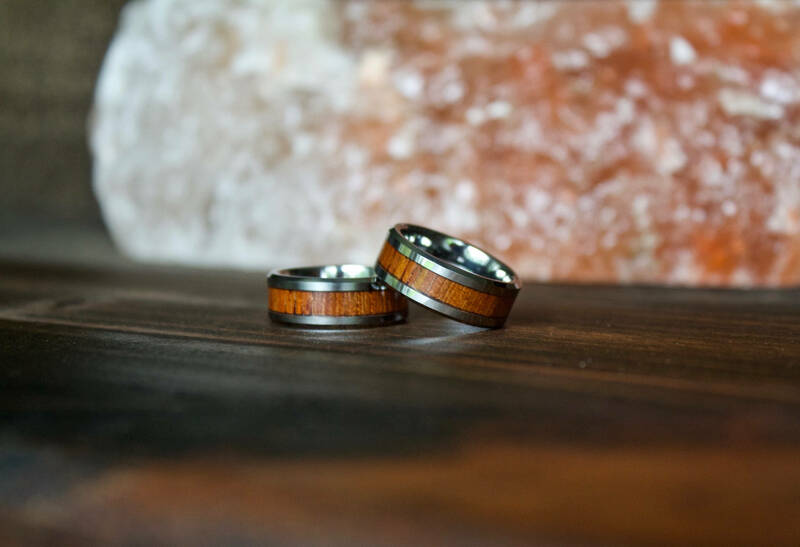 Please choose your ring size carefully; these rings cannot be resized because of the wood inlay. 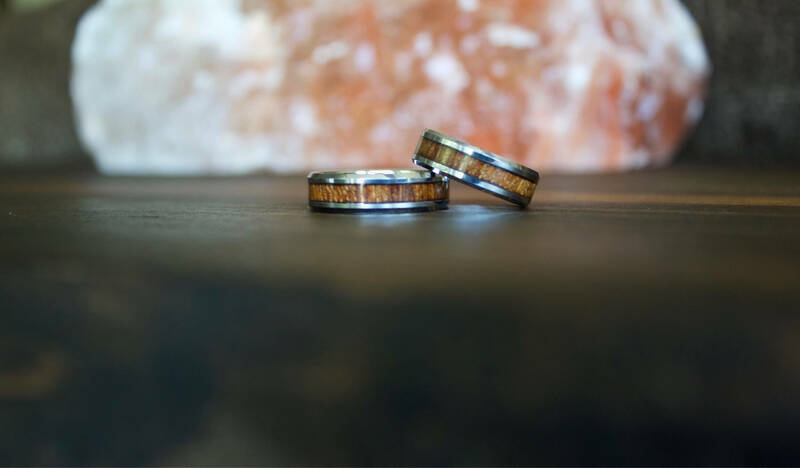 Such an awesome ring!! Highly recommend. My fiancé (and soon to be hunny) absolutely LOVES his ring and didn’t want to take it off when he tried it on. He literally can’t wait to get married just so he can wear it. 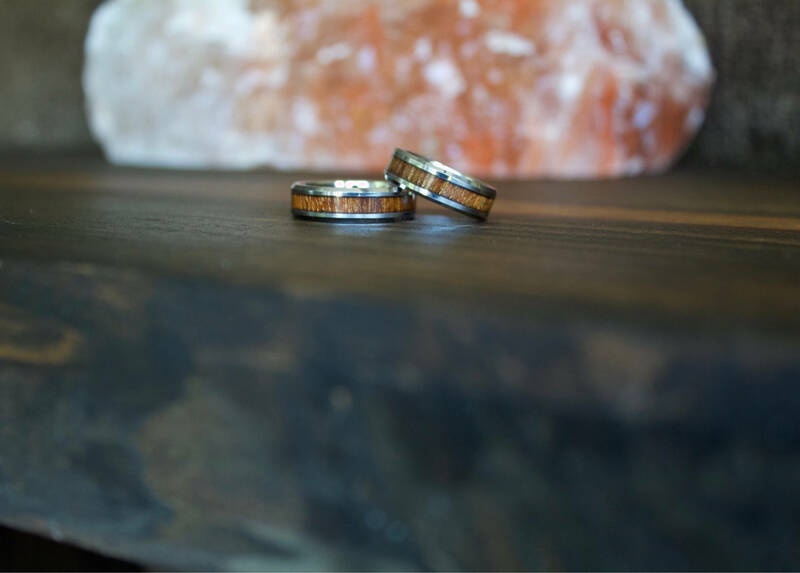 It’s a truly gorgeous ring and we’re super pleased with it.